If you’re drawn to timber and log materials but desire a more unique, contemporary feel, explore our Natural Element style. 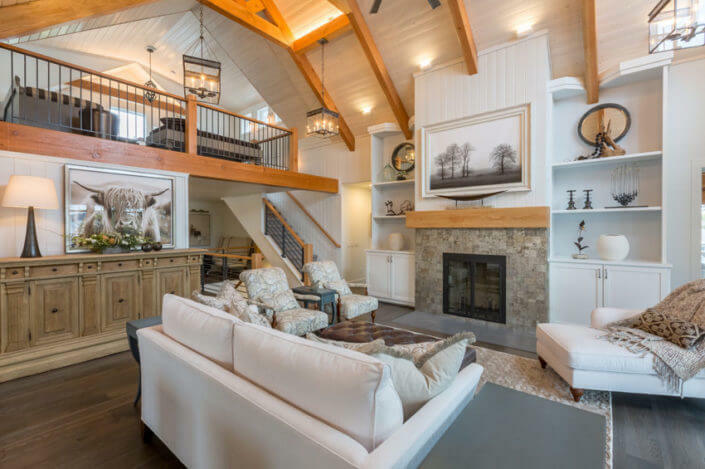 Whether a lakefront home, or a house in the woods or on the prairie, the Natural Element style draws from its setting and brings the outdoors in. Large windows and architecture that honors the site’s specific landscape features set these homes apart. And what more inspiration can you ask for than Wisconsin’s varied landscapes? Along with our custom designs, Brio is the only Wisconsin builder who can offer you architectural designs – and log and timber materials – from Natural Element Homes – yet another way to create a natural, one-of-a-kind dwelling. 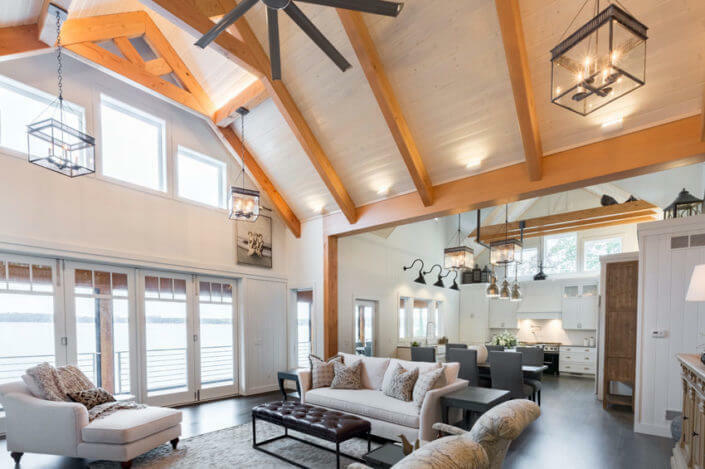 This lakefront home in Madison, Wisconsin was inspired by a home in Colorado that made a powerful impression on the homeowners. 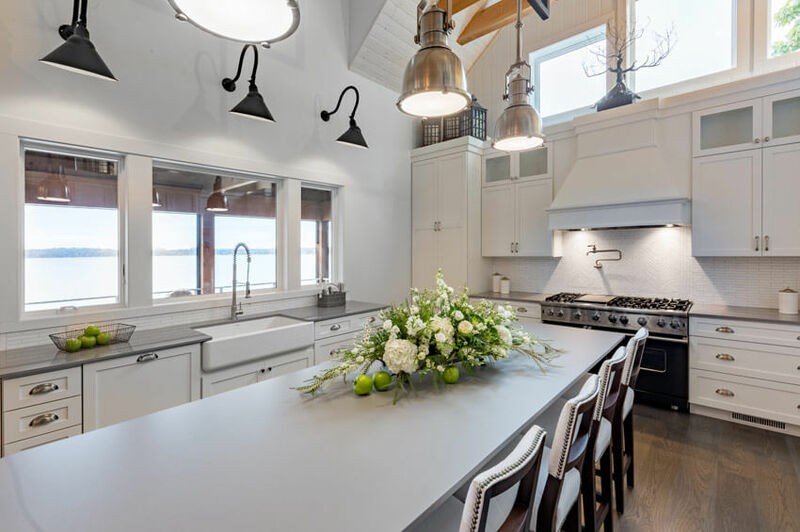 Custom home designer Brio translated the floorplan to complement not the Rockies, but rather the enviable, expansive views of Lake Mendota. The interior was designed in part to feature the homeowners’ significant art collection. Explore more photos, videos and finish details in the Exclusive Member Gallery. The oak grove surrounding this modern natural element home in a rural Madison, Wisconsin suburb definitely inspired its design. The massive trees frame the home as you approach from the driveway, and once inside, the windows perfectly frame the 360-degree views. Great northern flagstone from Montana, Douglas fir timber, shiplap walls and a broken edge granite countertop are just a few of the other natural elements seamlessly combined with a modern roofline and steel accents for a truly one-of-a-kind home. The modern layout arranges the 5,204 square foot, 5 bedroom home into warm, cozy wings.